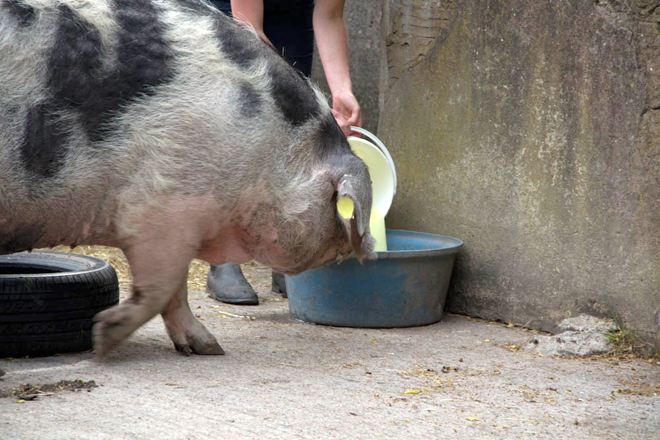 Princess the pot belly slurping up her supper! 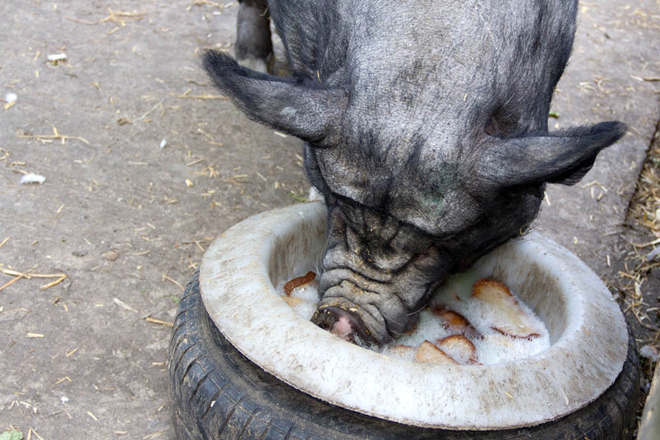 Our pigs have been enjoying a nutritious bowl of Whey for dinner thanks to local dairy Kappacasein, who make gorgeous cheeses in Bermondsey. Whey is a byproduct from cheesemaking and is milk with the solids (the curds) removed, rather like the liquid at the top of your yogurt. 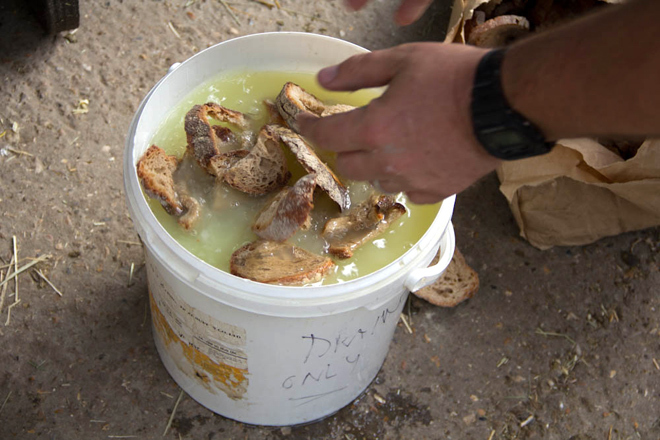 A protein and vitamin rich food source, the whey is a fantastic animal feed, but would otherwise be discarded. 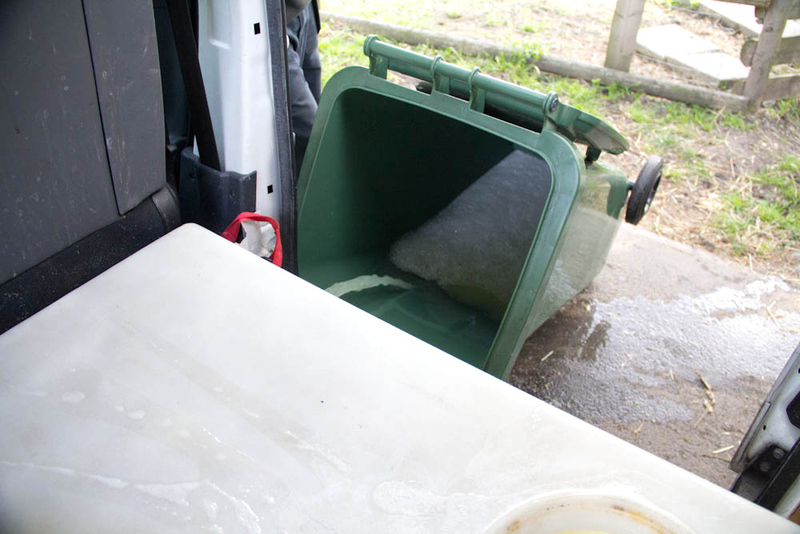 Kappacasein use organic British milk, from Commonwork Organic Farm in Kent. 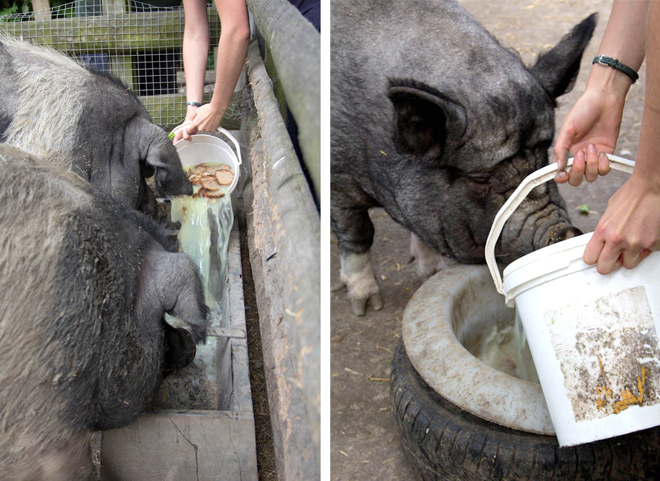 Our pigs each receive 10L for dinner with a few “croutons” and by their rapidly emptied bowls and the sound of their noisy slurping, they find it tasty as well as nutritious! Our partnership was born from the FoodSave initiative which helped local businesses and food producers reduce their food waste. If you produce a byproduct that you think might be used for animal feed, please get in touch with us by email to farm@mudchute.org. A delivery of whey direct from the cheesmakers. Clover the Gloucester Old Spot waiting for her dinner. Tasty whey for our saddlebacks and pot belly.